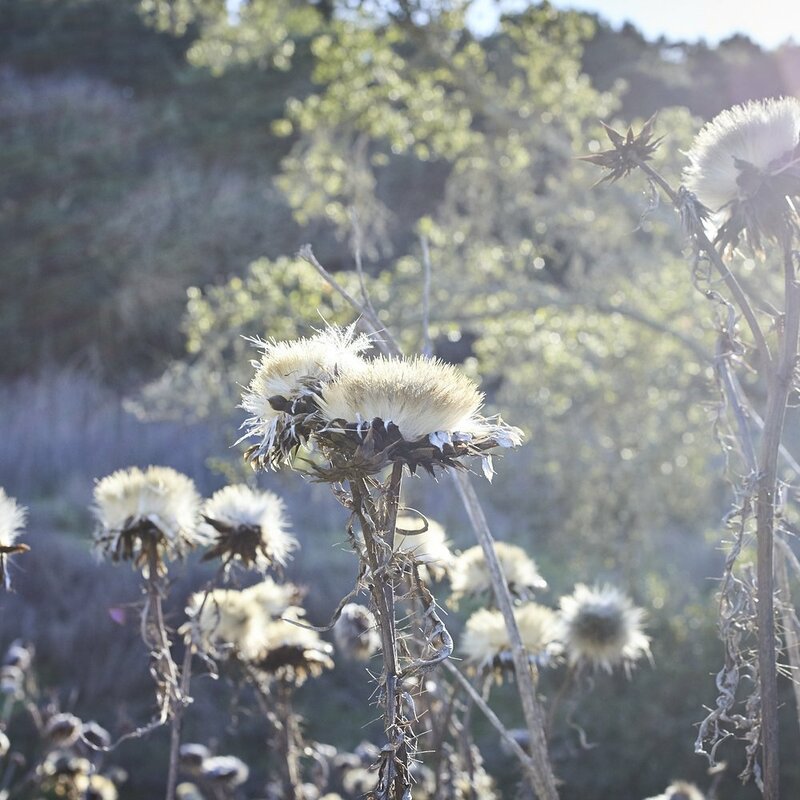 Born and raised on the rolling hills of Northern California, Alethea Harampolis has a deep appreciation for the local flora and bohemian lifestyle that she was brought up in. Her floral style has been called wild and unruly, and she can often be found foraging from her native hills and countryside. Visit the new YONDER SF and Studio Choo shared space, located at 701 11th Avenue, in the Richmond District of San Francisco! The shop is a spacious, light filled retail + studio venue where YONDER and Studio Choo will continue to expand on their collaborative creative relationship. Alethea also works closely with Homestead Design Collective, a landscape design and install business based in the San Francisco Bay Area and authors of "Harvest". She works closely with Sunset Magazine and has helped to design, install and maintain their new new test gardens at Cornerstone Sonoma. Alethea's line of handmade medicinal perfumes and beauty products called Snakeface is available for purchase in our WEST online shop and retail boutiques across the country. She is available by appointment only for weddings, events, and workshops. Follow @studiochoo on Instagram for EAST AND WEST happenings.